Commercial Property Developer, Knight Property Group were awarded Deal of the Year for their landmark Edinburgh development, 4 North at the 2018 Scottish Property Awards. The decision was made after a top panel of industry experts assessed applications from a selection of developers across Scotland with Deal of the Year applicants also facing an additional public vote. 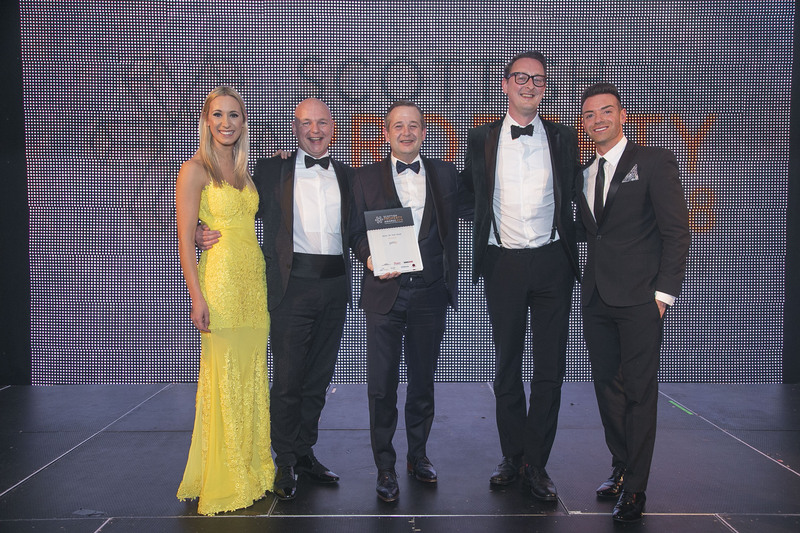 The awards were announced at The Hilton, Glasgow on Thursday Evening where hundreds of property experts and personnel gathered for a night of celebration. The award winning deal involves the pre-let of the entire property at 4 North, St Andrew Square to Computershare on a 20 year lease at rental levels which have set a new high for offices in Edinburgh. The offices extend to approximately 41,140 sq. ft. NIA internally. James Barrack, Managing Director of Knight Property Group commented “The last few years have shown a huge increase for occupational demand within Edinburgh City Centre, when searching for investment opportunities we always look for prime locations and flexibility regarding the size of space. We have overcome numerous challenges in order to secure such deals. With 4 North, our biggest central belt development thus far achieving record rents in Edinburgh, I believe this shows our ability to operate in a city where there are already such high quality developments. The team here at Knight are delighted to take part in the awards on a yearly basis, and we’re thrilled to have won Deal of the Year. It re-iterates our belief that we should continue to develop in Scotland and source opportunities in prime locations that allow us to add value and grow our portfolio. Director at JLL, Cameron Stott said “Knight Property Group continue to provide high quality office accommodation in both Aberdeen and now Edinburgh. The success they have achieved in Aberdeen despite the downturn has been a testament to the company’s work. Knight Property Group has had a successful year following the success of numerous deals including Oil and Gas giant Chrysaor at The Capitol in Aberdeen, as well as the speculative developments of units at Westhill and its 13 year pre-let to Power Jacks. To view Knight Property Groups other developments, visit http://knightpropertygroup.co.uk/developments.